TechPro Security Products is a Security Camera Installation Company. Not only does TechPro Security Products install complete Security Camera systems but they also manufacture their own security surveillance products. They have spent years developing the best Security Surveillance equipment available to the market today. TechPro Security Products has a complete team of security camera experts. No job is too small or large for our team of security experts. If you need a 4 Channel DVR (digital video recorder) for your apartment or a 16 channel nvr (network video recorder) for a larger home, let TechPro Security Products assist you. Small businesses and larger warehouse type facilities might need something more powerful like a HD (high definition) 32 channel nvr. 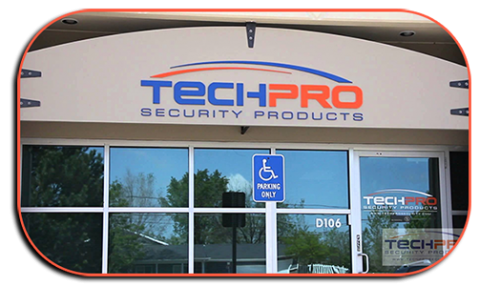 What do you get when using TechPro Security Products security camera installation services? First and foremost our top of the line Security Surveillance equipment, which comes with FREE lifetime support for life of the product. Not only do we have a large staff of field experts for Security Camera Installation but we have an equally large diverse tech support staff. You might wonder what do these two have in common? The majority of our tech support staff used to be and still is in the field on a regular basis. We know this is what makes our security industry tech support unsurpassed. To give excellent tech support over the phone it does help to be well versed with the products and the security industry. The real bonus is that our staff of Security Surveillance experts are local to both of our facilities on the east coast (Boca Raton, FL) and west coast (Wheat Ridge, CO). Providing superior security surveillance products with strong warranties and FREE US based tech customer support is what sets us apart from other security camera installation companies. Our tech support staff can help you every step of the way with your Security Camera Installation. About us, TechPro Security Products: is a licensed – EC13003850 electrical contractor that is bonded and insured security camera installation company. Being in business for over 9 years we have learned what it takes to deliver the best security camera system to the general public and resellers. Manufacturing and bringing in premium security surveillance equipment at a competitive price is first and foremost. Longer and stronger warranties plus providing excellent US based technical support (9am – 8pm EST) will make the security camera installation worry free. We serve all of South Florida but have an extensive dealer network that is nationwide. TechPro security camera systems come with FREE phone apps for Android and Apple devices. Free loaner program for warranty issues that may arise. We have many other perks that come with our security surveillance products. These added perks will help keep your home, business or any facilities security surveillance products running 24/7 around the clock. 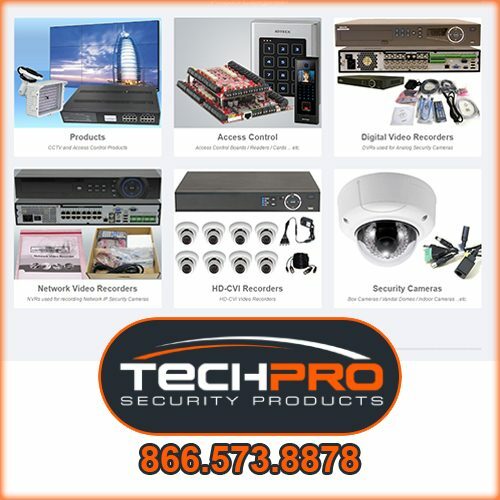 TechPro Security Products offers a full array of services including: Security Camera and Access Control Systems, Burglar Alarm Systems, Networking / IT Services, Complete security consultation and design, Home Automation, Low Voltage Wiring. Industry specific niches are no problem we can do a small security camera installation of 4 cameras upto 4000 security surveillance cameras. (automotive dealership security systems, warehouse security, Industrial warehouse districts, retail and storefront security, retail and storefronts, grocery and convenience store security, parking lot security systems, oil and gas security, safe city florida security).